Business Insurance for Wholesalers has become more complex in recent years in Miami. There are large property values, liability exposures from foreign products, employment practices concerns along with the usual auto and workers compensation exposures. Call us today for a review of your coverage. We've provided business insurance for wholesale distributors for over 50 years. Wholesale distributors can have increased liability from the sale of foreign goods, in addition to the potential losses from damage or destruction of large inventories. There can also be increased auto liability exposure with a fleet of delivery vehicles. Employees can be injured with lifting exposures. We work with our clients to review all of their exposures to loss and determine the best combination of insurance coverage, loss retention and safety programs to keep their costs to a minimum. We provide Wholesale Distributor insurance in Miami, Fort Lauderdale, Palm Beach and anywhere else in Florida with a variety of "A" rated national insurance companies. We will come to your business location at a time convenient to you. Contact us for a quotation on your business today! 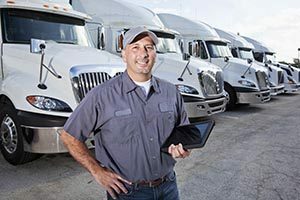 There are a wide variety of business insurance coverages available to cover the potential losses that can be suffered by wholesale distributors. Our agents will take the time to review each of these coverages with you.